Last week was not all bad news for the Serious Fraud Office (SFO) with the publication on 6 September 2018 of the Divisional Court’s ruling on KBR Inc’s application for judicial review. Like ENRC, KBR Inc. challenged the legitimacy of a notice issued by the SFO under s.2(3) of the Criminal Justice Act 1987 which enables the SFO to require compulsory disclosure of documents. The issue in this case was the jurisdictional reach of the notice. The extent to which s.2(3) of the CJA 1987 can apply to documents held overseas has become increasingly relevant with the involvement of more and more multinational companies in SFO investigations. As the way in which companies store information in the virtual-age changes, the ‘location’ of electronic documents held on servers outside the UK but accessible from devices within this country, has been the source of some debate. Clarity on the issue has been long overdue, and this judgment provides at least some. Lord Justice Gross disagreed with KBR’s argument that in the absence of explicit statutory provision, s.2(3) could not operate extraterritorially. He ruled that this was only a rebuttable presumption and that it would be perverse for s.2(3) not to apply to documents held overseas by a UK company. The availability of MLA arrangements can have no impact on this interpretation of the construction of the statute. He felt the section’s application to foreign companies holding relevant documents needed to be a little more nuanced and would only have effect when there was a ‘sufficient connection’ between the company and this jurisdiction. 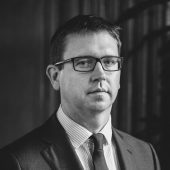 Whether the case-specific factors set out in the judgment as to what does and does not amount to a ‘sufficient connection’ will be sufficient to prevent further disputes between the SFO and foreign companies remains to be seen. It seems unlikely that this is the last time the jurisdictional reach of s.2(3) will be troubling the courts.